You've seen them at the grocery store and at the mall. You've probably even seen them on TV and online. Shoe inserts are any kind of non-prescription foot support designed to be worn inside a shoe. Pre-packaged arch supports are shoe inserts. So are the “custom-made” insoles and foot supports that you can order online or at retail stores. Unless the device has been prescribed by a doctor and crafted for your specific foot, it's a shoe insert, not a custom orthotic device—despite what the ads might say.Shoe inserts can be very helpful for a variety of foot ailments, including flat arches and foot and leg pain. They can cushion your feet, provide comfort, and support your arches, but they can't correct biomechanical foot problems or cure long-standing foot issues. Custom orthotics are specially-made devices designed to support and comfort your feet. Prescription orthotics are crafted for you and no one else. They match the contours of your feet precisely and are designed for the way you move. Orthotics are only manufactured after a podiatrist has conducted a complete evaluation of your feet, ankles, and legs, so the orthotic can accommodate your unique foot structure and pathology.Prescription orthotics are divided into two categories:Functional orthotics are designed to control abnormal motion. They may be used to treat foot pain caused by abnormal motion; they can also be used to treat injuries such as shin splints or tendinitis. 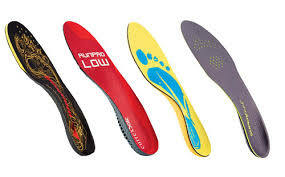 Functional orthotics are usually crafted of a semi-rigid material such as plastic or graphite.Accommodative orthotics are softer and meant to provide additional cushioning and support. They can be used to treat diabetic foot ulcers, painful calluses on the bottom of the foot, and other uncomfortable conditions.Podiatrists use orthotics to treat foot problems such as plantar fasciitis, bursitis, tendinitis, diabetic foot ulcers, and foot, ankle, and heel pain. Clinical research studies have shown that podiatrist-prescribed foot orthotics decrease foot pain and improve function. Orthotics typically cost more than shoe inserts purchased in a retail store, but the additional cost is usually well worth it. Unlike shoe inserts, orthotics are molded to fit each individual foot, so you can be sure that your orthotics fit and do what they're supposed to do. Prescription orthotics are also made of top-notch materials and last many years when cared for properly. Insurance often helps pay for prescription orthotics. If you are simply looking for extra cushioning or support, you may wish to try an over-the-counter shoe insert first. If you have serious pain or discomfort, however, schedule an appointment with a podiatrist.Dr. 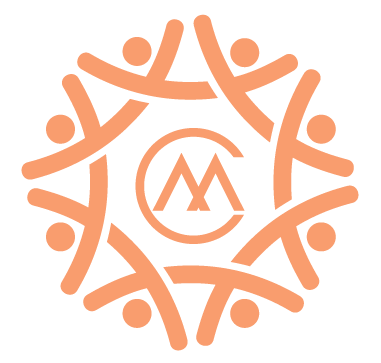 Evelyn Cavalier will assess your overall health and look for any other contributing factors.Dr. Evelyn Cavalier are specially trained to evaluate the biomechanics of the lower extremity, she will examine your feet and how you walk, she will listen carefully to your complaints and concerns and assess the movement and function of your lower extremities. The information gathered during the exam will help to determine if shoe inserts might be helpful or if you need prescription orthotics. If orthotics are needed, Dr. Evelyn Cavalier will capture a three-dimensional image of each foot. Those images, as well as any measurements obtained, are used to create a set of unique foot supports that will improve your foot movement and lead to more comfort and mobility.Dr. Evelyn Cavalier might also suggest additional treatments to improve the comfort and function of your feet.